Over time, a series of standard capacitor values have evolved, just as with resistors and inductors. Capacitors are available in a huge range of package styles, voltage and current handling capacities, dielectric types, quality factors, and many other parameters. Still, they largely hold to this range of values. Capacitors are one of the four fundamental types of passive electronic components; the other three are the inductor, the resistor, and the memristor. 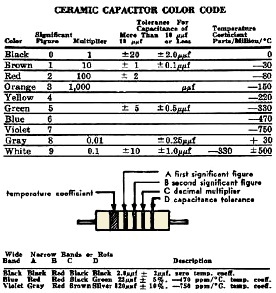 The basic unit of capacitance is the Farad (F). In order to obtain other values of capacitance, it is necessary to use parallel and/or series combinations. Often, complex combinations are used in order to satisfy multiple requirements such as handling large voltages while still providing the correct amount of capacitance. If it is necessary to provide occasional tuning of a circuit, then it is necessary to use a variable capacitor. That can take the form of a manually adjusted capacitor, or an electrically tuned capacitor like a varactor diode (varicap). 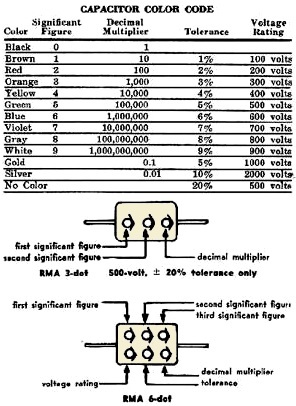 These are the most commonly available capacitor values. Tolerances are highly dependent on dielectric and package type.